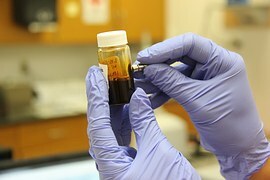 Skincare company needs dermatology clinical research laboratory for development of a protective cream for prolonged work in gloves that helps avoid excessive sweating on the skin of hands, restrains the growth of harmful microorganisms (bacteriostatic effect), and improves microcirculation in the vessels of the skin of hands, protects cells from harmful factors. This product has 3 main properties, which need to be confirmed: 1) Antiperspirant effect 2) Improvement of cutaneous respiration 3) Bacteriostatic effect We are planning to register this product as a cosmetic product. So we have to confirm these claims with test reports by 1) Antiperspirant effect was confirmed by gravimetric method and method the probe of Minor (iodine-starch test). The effect of the product was shown to be lasting up to 4 hours. 2) Skin respiration (cutaneous respiration) is the property, which includes all kinds of exchange processes in the skin (supplying the skin with oxygen), metabolic processes (synthesis of collagen and elastin), regeneration processes and improving the viability of the skin cells when exposed to harmful environmental factors. These properties are provided by the 2 components of product (caffeine and ginger extract) increasing ATP synthesis in the cell (under the influence of acetylglutamine), as well as the microcirculation in the skin. The effect of product to improve cutaneous respiration was confirmed by laser Doppler flowmetry. 3) Bacteriostatic effect the temporary suppression of the ability of microorganisms to reproduce (not the same as antibacterial action!). This effect is side-effect, because the composition of the product contains no antibacterial ingredients. The effect is achieved by the common action of the antiperspirant complex.